Normally, I buy these billheads and other ephemera in hand-picked, single lots. But this one showed up unexpectedly in a lot of 30 or 40 assorted billheads from late 19th-century New York. It had not been advertised, featured, or otherwise mentioned as being a part of the lot. Probably only has value to a bookish wonk like me. 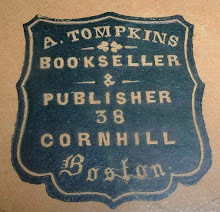 Actually, this company called itself "publishers, booksellers and importers." Not sure what they imported, but probably related to the other two aspects of their business. The thing I like best about this billhead is the company logo--a skull resting on a book. I guess the full cadaver holding up Gray's Anatomy would have been a bit over the top. The skull/book connotation to medical publishing and bookselling is more subtle and effective, I think. 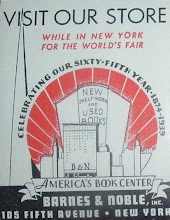 The Leggat Brothers, in New York City, 1888, claimed to own and operate the cheapest book store in the world, with a million new and second-hand titles in stock. All this as advertised on their letterhead for that year. 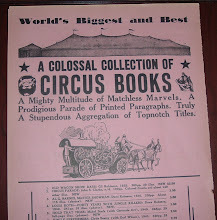 Located at 81 Chambers Street, third door west of City Hall Park, Leggat offered the following catalogs for free: The Book Case (miscellaneous books), Medical (new and old), Scientific (new and old), Angling & Sporting (new and old), and Theological (new and old). In this letter of May 9th, 1888, the bookseller acknowledges receipt of the customer's letter and claims to have had no knowledge about a recent shipment of a "set of Arnold" being shopworn. Evidently, the customer had written to complain that the books arrived in less than advertised condition. From the tone of the response from Leggat, it appears the customer had asked for a bit of a discount in light of the condition. Leggat allows one dollar off the $15 set, as reflected on an enclosed bill (not present with this letter). And it appears they also enclosed a complimentary copy of a book referred to as English in West Indies. I was prompted to search three things. First, the customer's name: Wm. H Brawley. The last name looks like it could be Bravley (which yields nothing in search results), but if it's Brawley, there's a good chance it could have been the same William H. Brawley who was a member of the South Carolina House of Representatives in the 1880s and later a U.S. Congressman in the 1890s. The timing seems right, date-wise. Second, I wondered about the complimentary book and found about 40 copies online of the following, all printed in 1888, same year as the letter: The English in the West Indies, or the Bow of Ulysses, by James Anthony Froude. Prices range currently from $15 to $750. Third, what was the set of Arnold for 15 bucks? The English poet Matthew Arnold came to mind immediately, but I could only find one "set" that fits the timeline for this letter: The Letters of Matthew Arnold, 1848-1888. Two Volumes. This set was a second printing from 1895, so maybe the first printing came out in 1888 (coincides with date in title). If so, that might help answer a fourth question about why Leggat chose the complimetary title they did to send the customer. 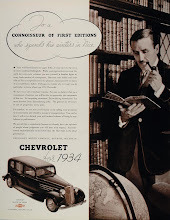 If all assumptions are correct, the South Carolina congressman had a taste for English literature and appears to have been a discriminating collector, with condition being important. A little shelf wear was not acceptable. Hopefully, the discount and the English West Indies history were. I think the bookseller handled the complaint graciously and satisfactorily. A 1914 billhead from Italian papermakers and booksellers Giulio, Giannini & Figlio of Firenze (Florence). This firm was established in 1856 and is still in business today, known primarily for their paper (www.giuliogiannini.it). Some interesting things to note on this old billhead: First, the red initial letters of the names in the title give it an appearance reminiscent of a medieval illuminated manuscript. Second, the order, or invoice is all in English. I assume this is so because the customer appears to be English or American. I also like the bookplate depiction in the upper left corner with the lamb and the books on the ground. There is a Latin phrase across a banner that reads: Usque dum vivam et ultra. Also noteworthy is the long list of items purchased--two pages worth totaling $168 (amount given in dollars). Most billheads I see include only one or two items on the invoice.